[S1850] 1841 Wilkes Co., N.C. (Little River) School Census. [S1942] 1880 Butler Co., Ky. Census. Birth*: Martha "Mattie" Fortner was born in 1838 at Greene Co., TN. Birth*: Martha Levititia Fortner was born on 24 May 1872 at TN. She was the daughter of James Smith Fortner and Nancy Goin. Death*: Martha Levititia Fortner died on 22 August 1953 at age 81 . Birth*: Martha M. Fortner was born on 29 September 1842 at Claiborne Co., TN. Death*: Martha M. Fortner died in May 1909 at Claiborne Co., TN, at age 66 . Birth*: Mary Fortner was born in 1836 at Greene Co., TN. [S4] Warren Co., N.C. 1850 Census, page 10 B. Birth*: Mary Anna Fortner was born on 24 September 1824 at Greene Co., TN. Death*: Mary Anna Fortner died on 10 July 1902 at Claiborne Co., TN, at age 77 . [S200] Mona Forkner Paulas, The Forkner Clan Vol II, page 76. [S648] 1850 Claiborne Co., Tenn. Census. [S1369] 1860 Claiborne Co., Tn. Census. She was the daughter of Elisha Fortner and Sarah Jane Day. Birth*: Mary Solena Fortner was born on 6 April 1874 at TN. Death*: Mary Solena Fortner died on 18 July 1961 at age 87 . 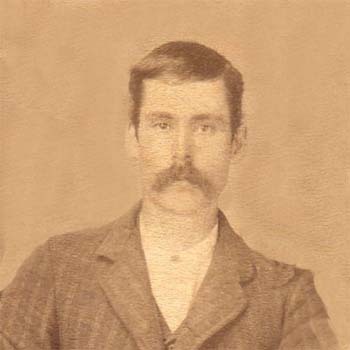 He was the son of James Smith Fortner and Nancy Goin. Death*: Matthew Fortner died on 18 October 1924 at age 69 . Birth*: Melvina Fortner was born in 1841 at Claiborne Co., TN. Birth*: Micajah "Cager" Fortner was born circa 1787 at NC. Marriage*: Micajah "Cager" Fortner married Elizabeth Barnes, daughter of John Barnes Sr. and Ruth (? ), on 5 February 1807 at Wilkes Co., NC; N.C. Marriage Bonds #165177 Flud Fortner was bondsman. [S1445] 1860 Greene Co., Mo. Census. [S1446] Unknown volume, Dade Co., Mo. Death Certificate, unknown repository.